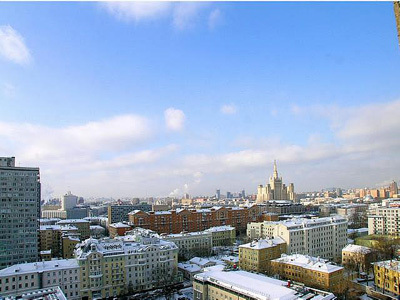 Apatment is located in the very center of Moscow city. It is the ideal variant for short-term rental period. In apartment you will find everuthing you need, microwave oven, gas stove, refrigerator and washing machine, separated kithen with perfect work place. By the way, apartment has a panoramic view on the city beauty.